I ‘ve had my eye on these facial cleansing bruhses ever since they came about a few years ago now, and recently I’ve been saying how I’ve been lacking on that secondary stage of cleaning. I’m great and cleansing my face to remove all my make-up and grub of the day, but sometimes I feel like I need a second cleanse, just to ensure my skin is super squeaky clean. 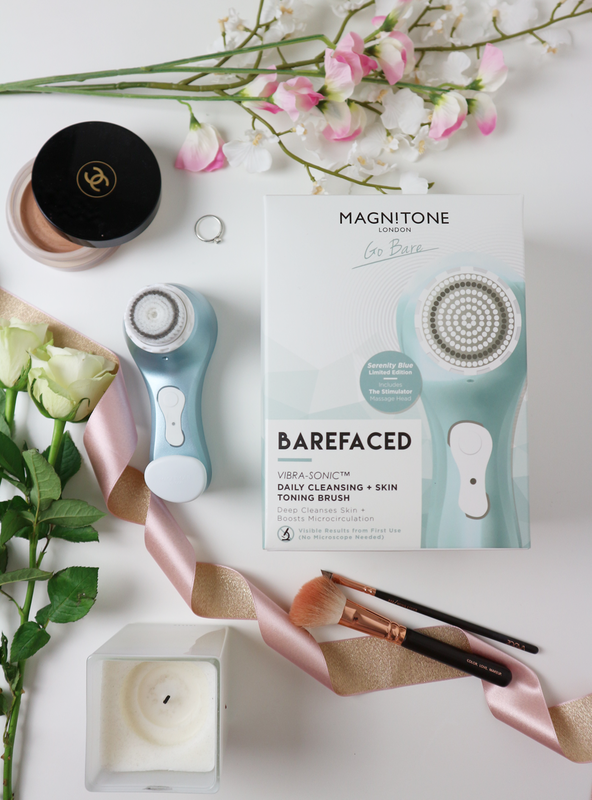 Of course, when Magnitone London offered to send me one of their Limited Edition Barefaced Cleansing and Toning Brush*, I thought Christmas had come early. In the box you get the brush, the two heads along with covers, and the magnetic charger. The lovely people at Magnitone London sent me the Limited Edition Serenidity Blue, but if you’ve got any blogger friends out there, the Rose Gold brush has definitely got their name on it this Christmas. In all honesty – I don’t know why it has taken me this long to get one of these brushes. I’ve stepped up my skincare game in recent years, but there’s always been something missing, and finally I’ve got my hands on it. 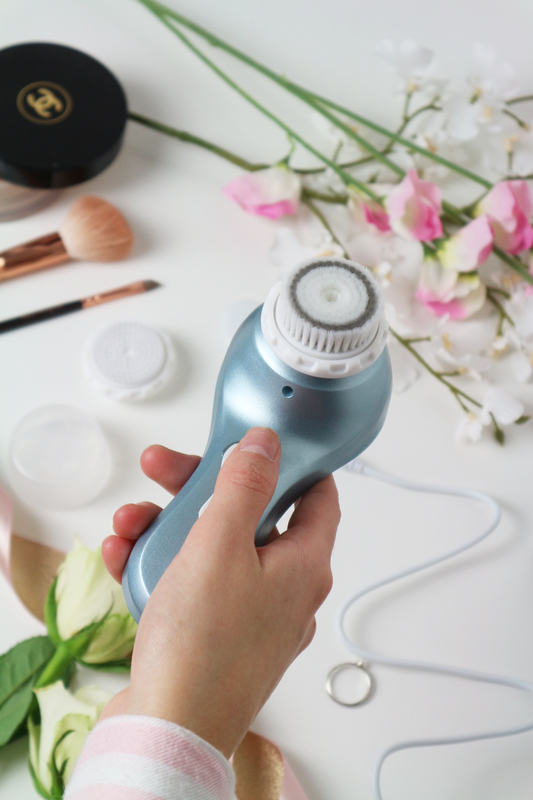 Super easy to use, this brush has both a cleansing brush head, alongside a toning head which you can interchange depending on what you fancy. 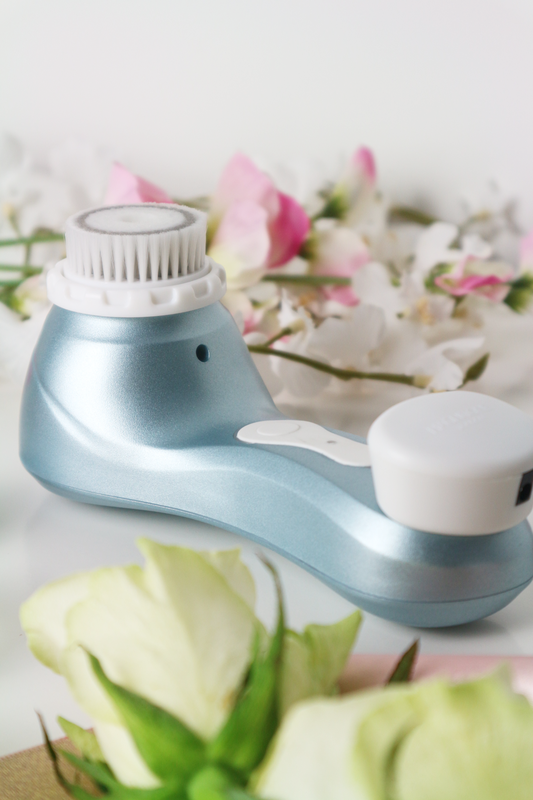 Apply any cleanser to the head and switch it on once for the Stimulator Mode, or twice for the Pulse Lift Toning Mode. 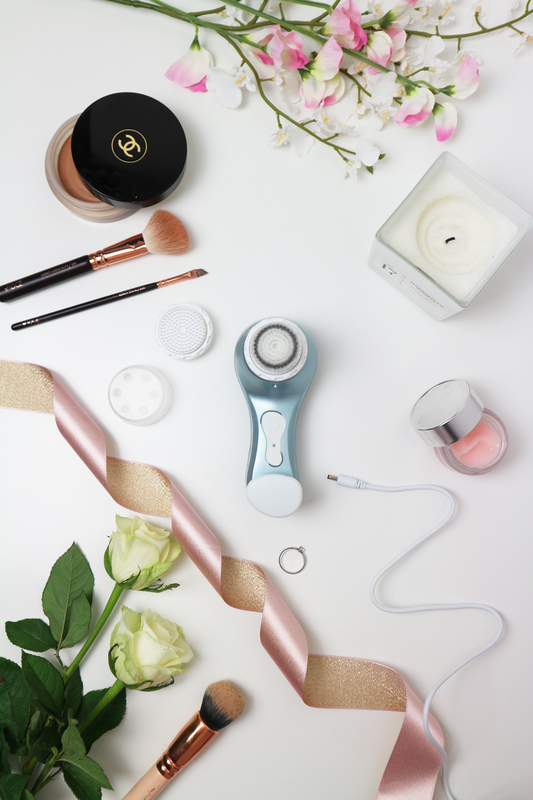 Of course, I’ve only given the brush a couple of go’s as yet, but I know this is going to be a really fresh addition to my skincare routine, and I’m definitely looking forward to clearer, smoother skin! This is giving my skincare regime that extra push to hopefully achieving my best skin yet!! With Christmas just around the corner, this certainly would make the perfect gift for any beauty or skincare lover, and lucky for you, there is a discount of 44% in the leadup to Christmas! Have you given one of these brushes a go? If you want to see more skincare posts, you can here! "5 ways to get into the festive spirit"
"5 things blogging has given me"